Although you may not be experiencing any of the cataract symptoms now, as the cataract grows and affects the light passing through your lens to the retina, examination of the eye with a comprehensive eye exam will determine the stage of the cataract and most appropriate treatment. Our Ophthalmologists have been evaluating and treating patients for eye conditions for over 30 years. 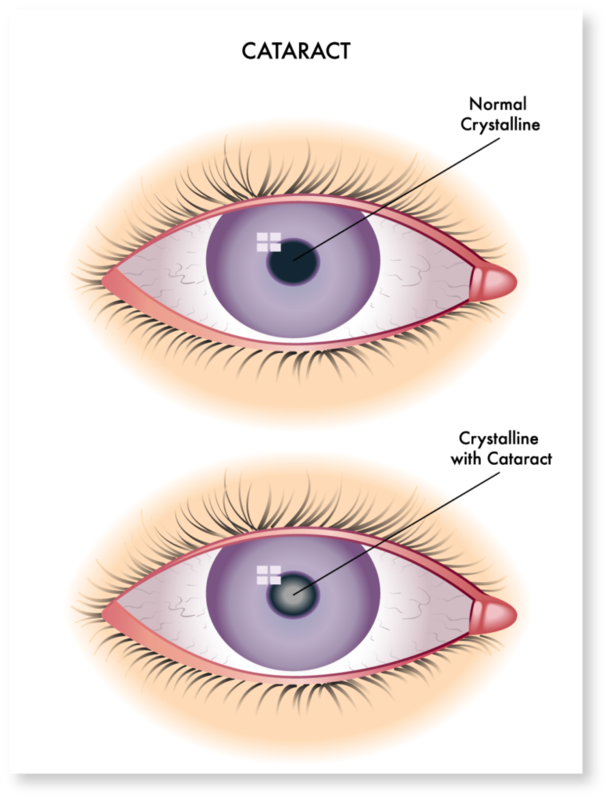 These symptoms may be a sign of other eye conditions. If you are experiencing these or other issues, you may schedule an appointment online or call our offices at (281) 890-1784 to schedule your visit at one of these locations: Willowbrook /Dotson Rd, North Cypress Professional Bldg or our Barker Cypress Office.